Thirty years ago—hell, probably less—Latinos and other people of color would have been hard-pressed to find art that represented their experiences as “ethnic minorities,” especially in the mainstream. So we created. We started zines. Founded DJ collectives. Brought urban art to the fore and honored the integrity and beauty of el campo. But today, things are different. Not much, granted. And not for the post-racial society bull you’re probably thinking of (you’ve all seen ‘Devious Maids’). But people of color in the arts and beyond have taken back some of our power—and good luck wrestlin’ it away. Because instead of being relegated to separatism, Latinos are pushing their way into arenas formerly reserved for white folks only. 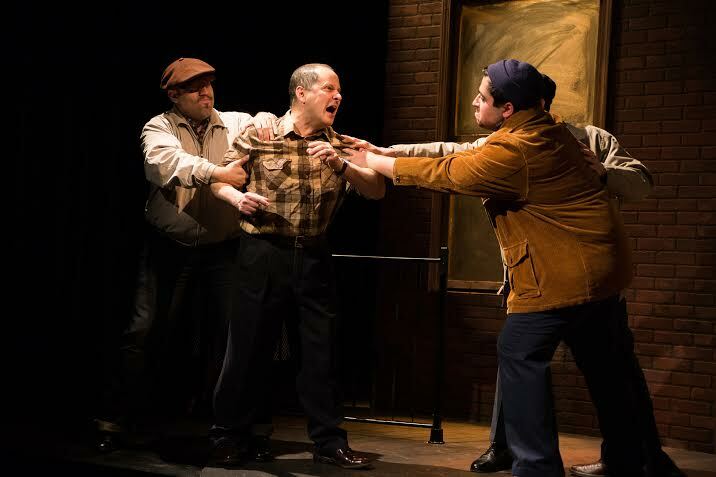 Take Teatro Vista’s production of A View From the Bridge, the story of a group of New Americans from Europe—staffed with an all-Latino cast and crew. 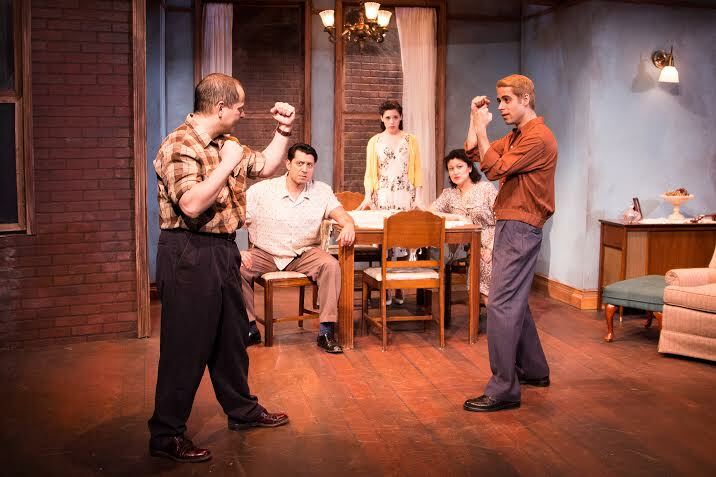 Written by Arthur Miller in 1955, the play follows an Italian-American family—Eddie Carbone (Ramon Carmín), a longshoreman, along with his wife Beatrice (Sandra Marquez) and his orphan niece Catherine (Ayssette Muñoz)—living in an immigrant community in Red Hook, Brooklyn. Eddie is attached to Catherine, but their relationship at this point seems harmless. The Carbones are soon joined by two of Beatrice’s relatives: tough guy and family man Marco (Eddie Diaz), and Rodolpho (Tommy Vega-Rivera), a fair-haired young man who dances, cleans and cooks. Looking for an out from poverty-plagued post-WWII Italy, the men arrive “illegally” from Europe. Catherine and Rodolpho soon begin dating—and Eddie’s sexual feelings for his niece become apparent, as he rails against her new beau’s more effeminate qualities, implying he’s a homosexual. And when the pair decides to get married, hell breaks loose. 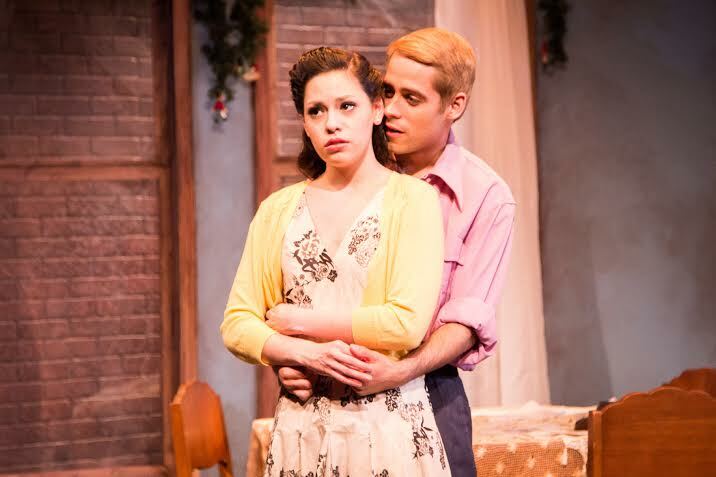 Eddie assaults Catherine and Rodolpho—forcefully kissing both of them—and eventually calls immigration to report his wife’s cousins, who are by that time living in another unit in the building with two more undocumented immigrants. SPOILER: The resulting scene is heart-breaking, proof positive that the Latino immigrant experience is not a novel one, as the immigration officers drag Rodolpho from the apartment, Catherine shrieking in hysterics behind him, as another leads Marco to the exit, where he proclaims that Eddie has “killed [his] children,” and then spits in his face. Watching a cast of Latino actors play out a deportation was more than moving—the experience was painful, charged with the emotion of the millions of lives impacted by the deportation crisis. And the talent of the cast is testament to the growing number of Latinos training in the discipline. As director Ricardo Gutiérrez sees it: “Ten years ago, I’m not sure I would have been able to cast this show with all Latinos—the talent pool just wasn’t generous enough. But more and more Latinos are coming to Chicago to participate in theatres.” He adds that one of his cast members came to the city from Texas to try to connect with Teatro Vista and the Latino theatre movement. The cast moved seamlessly across the tiny stage at Victory Gardens, an ensemble incredibly in sync. But knowing that the crew, from lighting designer Brian Hoehne (whose design lent a painful and surreal quality to the production) to director Gutiérrez were all also Latino lends to the urgency of the show. Because while the specifics of the story—and uncle in love with his niece—may not be easy to identify with, the broader tale of poverty, immigration, xenophobia and assimilation has been lived by nearly every former immigrant group flourishing in the U.S. today. And Miller’s original work—Gutiérrez chose not to alter the original script, which makes liberal use of the term “illegal”—nearly 60 years old and oozing McCarthy-era “security” concerns, proves that the painful cycle of immigration and deportation is a universal one. And that someday, it’ll pass. A View From the Bridge runs through May 18 at Victory Gardens Theatre, 2433 North Lincoln Ave. Tickets are available online.